I recently had a meeting with John Hamilton, the new CEO of Liberation Programs. John has over thirty years’ experience in the addiction treatment & research field, with insightful views on prevention, intervention and recovery. 1. MAT – We need to get to where it’s common practice in all treatment centers that Medication Assisted Treatment (MAT) is offered. John would like to move Liberation in that direction, beyond the core methadone programs currently offered. 2. Recovery Coaching – As Chairman of the CT DMHAS State Advisory Board, John talked about Emergency Department Recovery Coach Services Program being implemented in hospitals throughout the state. Currently there are 8 hospitals with recovery coaches, with 2 more coming soon. The positions have been staffed with a dispatch model using CCAR (CT Community of Addiction Recovery) Trained Recovery Coaches. John would like recovery coaches to be deployed throughout our communities, not just in hospital ERs. This would help enable the continuum of care approach to addiction treatment. 3. Recovery COACH Act—This act was recently signed into law as part of the Support for Patients and Communities Act. This will enable more Recovery Coaches to be funded throughout the country, and is hopeful for more coaches in CT.
4. 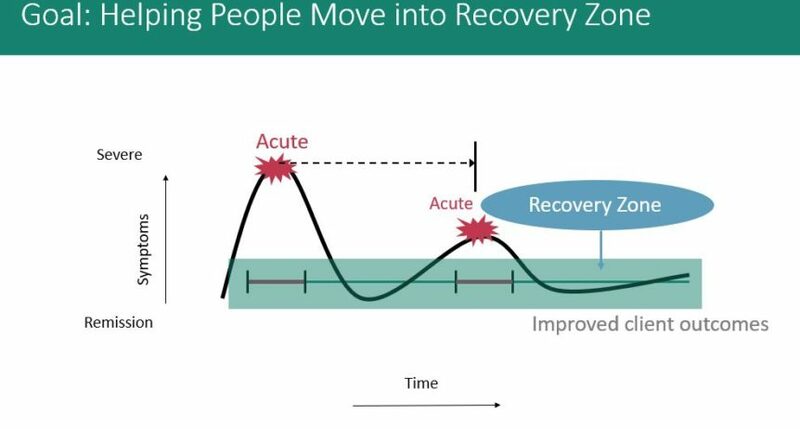 Seamless Addiction Care—John is a strong believer in applying evidence-based approaches across the continuum, so that patients can be treated as needed over a life cycle. He cited Greg Williams’ recent blog post about how the chronic disease model that is used for other diseases needs to be used for addiction. The mainstream health system needs to be incentivized to be involved with fully array of services, rather than current “catch and release” model. I look forward to watching John flourish in his new role as head of Liberation Programs. It is a “coming home” of sorts for him, as he worked at Liberation years ago. I wish John all the luck in the world!